Picking up the story from where the infamous Driv3r left off, you play as long time protagonist Tanner, awaiting the transport of his nemesis Jericho to a maximum security prison. Needless to say, things happen and in Tanner finds himself on the wrong end of a collision between his own vehicle and a lorry, putting him into a coma and setting up the more outlandish aspect of the story. As a result of this coma, Tanner finds he now has the ability to ‘shift’ into the body of any other driver in the city. In gameplay terms, this means that at almost any time, you can press the shift button and suddenly be flung up to a birds-eye view of the city, allowing you to look around for a car or any other vehicle that takes your fancy which you can then posses and in flash be driving said vehicle. While from the outside this seems like a distinctly Quantum Leap flavoured gimmick, in actuality it’s a really neat way to change between the different cars in the city without having to jump through hoops or indeed menu screens to do so and also neatly negates one of the major criticisms of previous games in the Driver series by meaning Reflections Ubisoft don’t have to make a sub-standard on-foot portion of the game and can stick to their strengths in making a solid, satisfying driving game. This mechanic also makes for some pretty fun and varied missions. 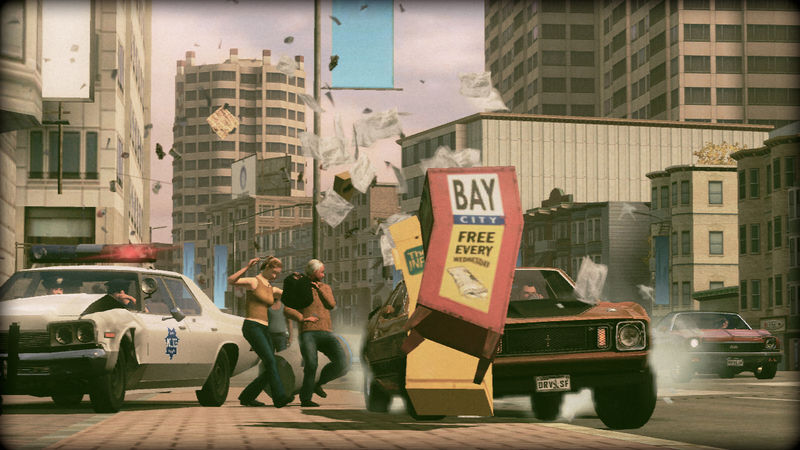 Of course, there are the classic missions like police chases or getting to a destination quickly, but these are interspersed with some more original missions, such as attempting to frighten a driving instructor by performing stunts, or team races in which you have to get both first AND second place by switching between the two drivers in your team. Get enough of these missions under your belt and you’re allowed to progress with the main storyline, as well as earning the game’s currency of Willpower which can in turn be used to upgrade your abilities, making your shift powers last longer or granting further powers like boosting and shunting or unlock new cars – all of which are fully licensed this time around. 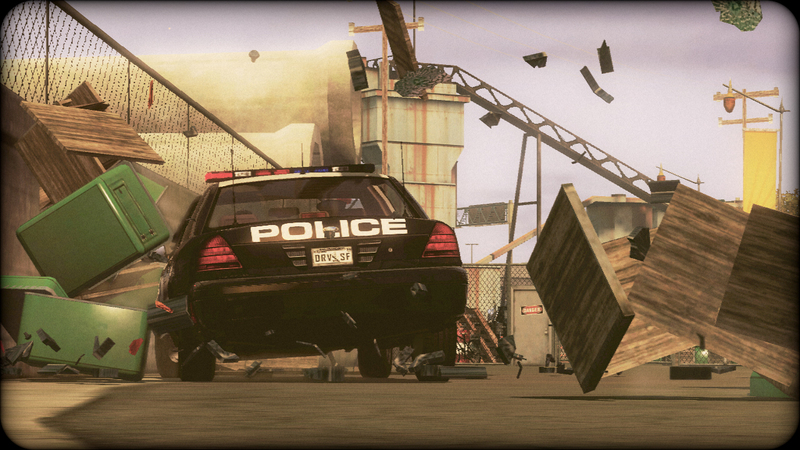 And the licensing is indicative of the biggest thing about the new Driver game – it’s a love letter to car chases. Sure, Driver has ostensibly always been the developers love of the classic movie car chases – those with long memories will remember that Reflections are such big fans of them they released the Stuntman series as the most overt outpouring of their love until now. The difference is that Driver: San Franciso is the first time they truly seem to be having fun with it. Whether it’s the missions that are almost literally lifted right from the most famous car chase scenarios such as Gone in Sixty Seconds, Drive, Starsky & Hutch, Blues Brothers. Yeah, the plot holding all these together is at best, forgettable and the script is almost gloriously cheesy but it’s just the most fun a Driver game has ever been. And it comes across in every part of the delivery. Little touches like the random dialogue from passengers as Tanner hops around cars across the city – some of the exchanges are downright hilarious and even though there’s never really a connection between your random faceless passengers, it doesn’t fail to raise a smile as you hear about the police officer who wants to be more than partners to Tanner’s unwitting host, or the bloke who just wants his mother to be a bit more careful when driving, just as you take over her body (and thus her vehicle) ready to jump over that car transporter, and thanks to San Francisco’s many jumps and inclinations you can have him screaming “MOMMMMMMMY!” all the way until you shift to your next unwitting victim. Of course, you never have to deal with the consequences of your Quantum Leaping, but that wouldn’t be right as it just wouldn’t fit in with the game’s mantra of just having a great time. Yes, some missions can feel a little samey after a while and though there’s an impressive number of cars, you’ll pretty quickly find the ones that work best for you and largely stick to them throughout the game. If you need a specific type of vehicle for a dare then they’ll seem to spawn more readily in the area and be helpfully marked on your map, so you can easily Shift into one. So the option to buy your own from the garage seems only really to cater to those with a compulsion to collect them all for completeness sake as there’s really no other reason. This also makes the inclusion of the New Game Plus all the more baffling, as you’ll no doubt max out your abilities well before the end of your first playthrough anyway. Also it remains to be seen whether how the PC version will suffer from the DRM woes that plagued From Dust’s launch on that platform – sadly it seems the PC crowd are getting the sort of DRM (activated once per session) too, at least at launch. Nevertheless, one thing is clear about the game itself – Driver: San Francisco is just oozing with fun and a blazing return for the series. It’s a stonking good romp and doesn’t take itself seriously. Yes, it has a ludicrous plotline but this works deeply in the title’s favour because it doesn’t just acknowledge it’s silliness – it downright revels in it and runs (or should that be drives?) with it. It’s an unashamedly good time.